Fruits are nature’s wonderful medicines packed with vitamins, minerals, anti-oxidants and many phyto-nutrients (Plant derived micronutrients). 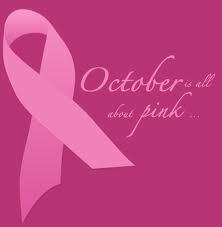 They are absolute feast to our sight, not just because of their color and flavor but help body keep fit and healthy! Fruits are low in calories and fat and are a source of simple sugars, fiber, and vitamins, which are essential for optimizing our health. Fruits provide plenty of soluble dietary fiber, which helps to ward of cholesterol and fats from the body and to get relief from constipation as well. 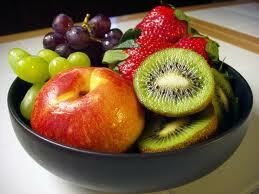 Fruits contain many anti-oxidants like poly-phenolic flavonoids, vitamin-C, anthocyanins. These compounds, firstly, help body protect from oxidant stress, diseases, and cancers, and secondly, help body develop capacity to fight against these ailments by boosting our immunity level. Many fruits, when compared to vegetables and cereals, have very high anti-oxidant values which is something measured by their “Oxygen Radical Absorbent Capacity” or ORAC. Anthocyanins are flavonoid category of poly-phenolic compounds found in some “blue fruits” like blue-black grapes, mulberries, acai berry, chokeberries, blueberries, blackberries, and in many vegetables featuring blue or deep purple color. Eating fruits rich in blue pigments offers many health benefits. These compounds have potent anti-oxidant properties, remove free radicals from the body, and thus offer protection against cancers, aging, infections etc. These pigments tend to concentrate just underneath the skin. Fruit’s health benefiting properties are because of their richness in vitamins, minerals, micro-nutrients, anti-oxidants which helps body prevent or at least prolong the natural changes of aging by protecting and rejuvenating cells, tissues and organs in the human body. The overall benefits are manifold! Fruit nutrition benefits are infinite! How much fruit nutrition should be included in our daily diet? Research studies suggest that one may eat any servings of fruits daily. It is recommended to eat at least 2-3 servings of fresh fruits every day. 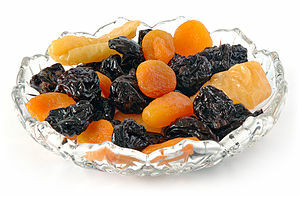 The term one fruit serving is about 250 g of cleaned, edible-portion of the fruit, excluding discards like peel, seeds etc. Include seasonal fruits in the daily diet. 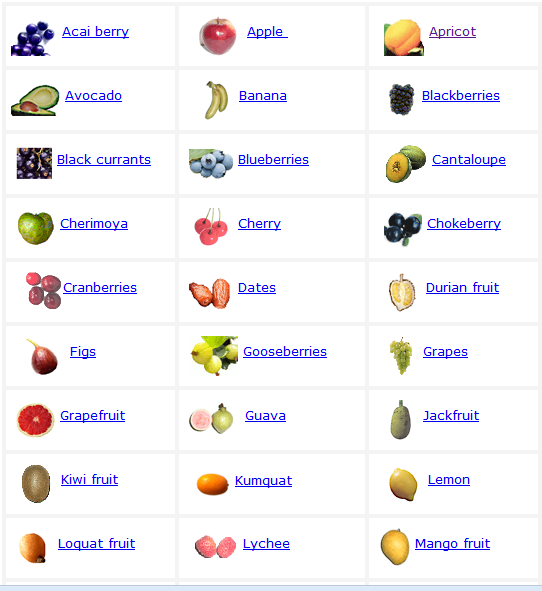 Variety of fruit’s type, color, and flavor should be encouraged to get maximum health benefits. Yellow and orange color fruits are rich sources of α and β carotenes, zea-xanthins and crypto-xanthins, while blue, black colored like black or blueberries are good source of poly-phenolic anthocyanin anti-oxidants. To avail maximum fruit nutrition benefits eat organic produce. Many “wild” varieties of berries and “tropical tree” fruits have still not treated with any kind of fertilizers or chemicals and can be readily purchased from local farm owners. Organic fruits tend to be smaller, however, they feature special flavor and richness in vitamins, minerals and stuffed with numerous anti-oxidants. 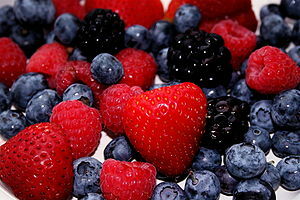 In the store, however, choose fruits that feature freshness, bright in color and flavor and feel heavy in your hands. Look carefully for blemishes, spots, molds, and signs of insecticide spray. Buy whole fruits instead of section of them (for example, buy a small size watermelon instead of a section of big size melon). If you need to store them, place them in plastic wrappings or in zip pouches to keep them fresh for short periods until you use them. Eat fruits as a whole without any additions to get their original flavor, taste, and to get maximum fruit nutrition benefits. guess what’s coming to dinner?